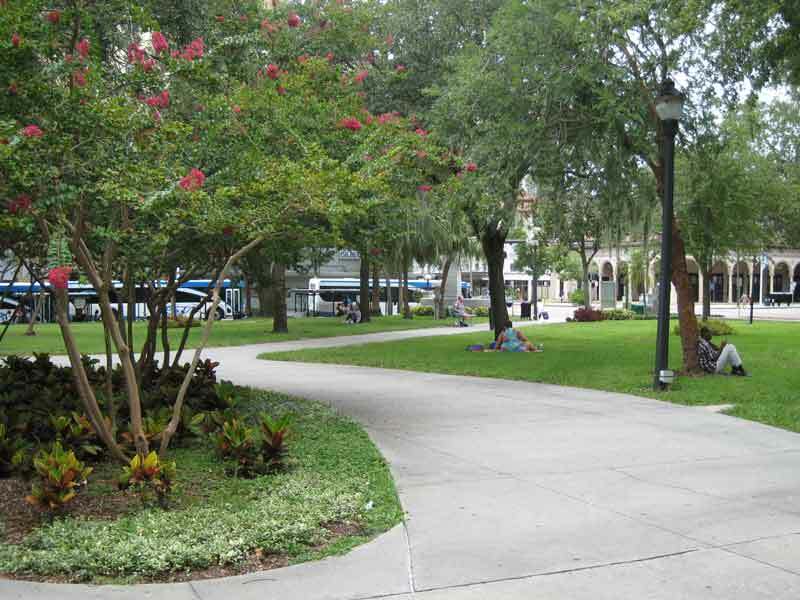 When Gainesville-based Southern Legal Counsel (SLC) took as clients of a group of homeless people arrested for being in a St. Petersburg park after closing time, they ended up securing access to the courts not only for their clients, but for all civil litigants who can’t afford the filing fees in Florida’s Sixth Judicial Circuit. 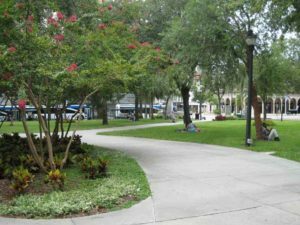 When 20 homeless people were rounded up in a police sweep for trespassing in St. Petersburg’s Williams Park, Southern Legal Counsel took up their case and ended up helping overturn a Sixth Judicial Circuit policy of denying filing fee waivers to indigent clients in appellate cases. “Twenty people were caught in a police sweep targeting homeless people with the sole purpose of banning them from a city square when they were walking out of the park with the intention of leaving prior to closure,” said SLC attorney Kirsten Clanton, lead counsel on the case. With funding from The Florida Bar Foundation, SLC set out to challenge a practice that by late 2012 had been going on in St. Petersburg for a number of years, in which the city had been using trespass warnings to ban homeless people from its public parks. When SLC represented the area’s homeless to petition these bans, the circuit clerk’s office refused to docket their petition because their clients had no addresses, which were required in order to enroll in a payment plan for the $400 filing fee. First, SLC got the clerk’s office to docket their petition without payment and filed a motion to see if their clients qualified for filing fee waivers. All of their clients were then certified as indigent, but were still rejected by multiple judges for filing fee waivers. 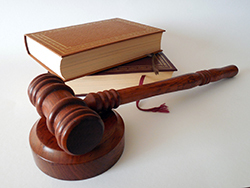 The Sixth Judicial Circuit, in a 2009 administrative order, had prohibited fee waivers for the indigent in appellate proceedings. 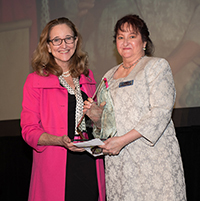 “When our clients were denied a waiver of a filing fee due to a 2009 administrative order by the Sixth Judicial Circuit, we realized we needed to challenge the denial of the fee waivers to change the policy not only for our clients but for the thousands of indigent litigants being denied access to justice,” Clanton said. SLC took their petition to the Second District Court of Appeal, which held in two separate decisions that indigent litigants have the right to a filing fee waiver. The administrative order that had denied thousands access to the court was thereby overturned. While the legal work may seem straightforward, SLC could not have accomplished it without help from its non-legal staff. G.W. Rolle, SLC’s homeless outreach coordinator, was once homeless and played a key role in locating those in need of SLC’s services and connecting them with SLC. Rolle said police sweeps to remove homeless people from public spaces are frequent and create a major challenge for legal services providers. “It is important to be able to find people when they have been displaced to notify them when something relevant is happening with their legal case. My role of facilitating communication with the clients is essential to ensure that this traditionally underrepresented group is able to participate meaningfully in their cases and gain access to legal representation,” Rolle said. 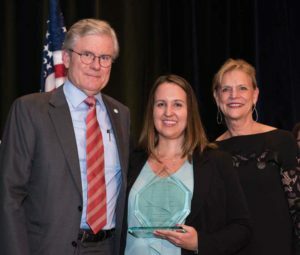 Bill Van Nortwick and Maria Henderson presented the Steven M. Goldstein Award for Excellence to Kirsten Clanton of second runner-up Southern Legal Counsel. For their success in changing the court’s policy on indigent filing fee waivers, SLC was named second runner-up for the Bar Foundation’s 2016 Steven M. Goldstein Award for Excellence.